A new personality along with many major improvements. 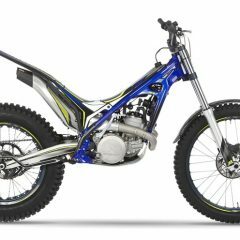 All of the models have received new chassis components along with a totally redesigned frame that is made completely out of Chrome-Molybdenum. 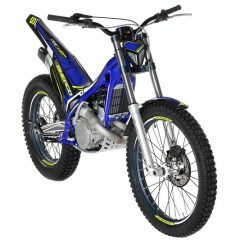 As for the graphics design, the colour code has been changed to electric blue along with a fluorescent yellow that continues to enhance the strong Sherco identity.